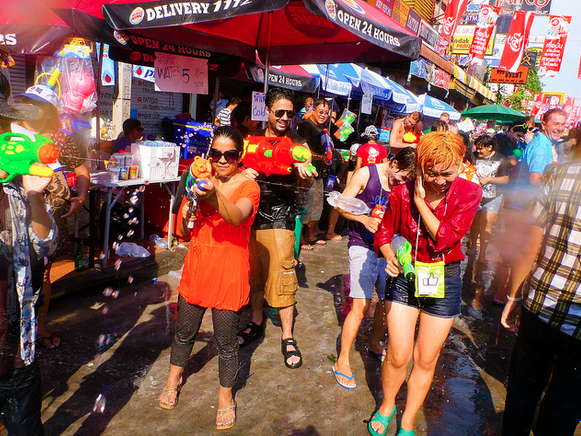 The whole road is closed to traffic and becomes a crowded and boisterous water fight. 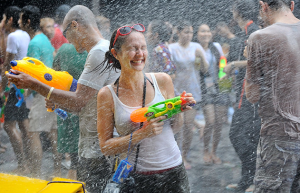 The large backpacker community will be out in force here with their water guns with plenty of local Thais visiting to give the foreigners a soaking….. A great multinational water fight! 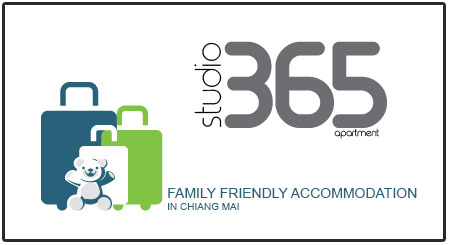 A couple of other hotspots worth checking out1 The trendy teen district of Siam Square will feature a stage and be turned into a wet arena with Thai bands catering to the taste of teen and young Thais. 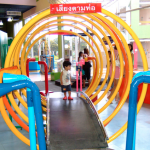 The large area in front of Central World Plaza will also feature a stage with many Thai bands performing as well as a carnival zone and foam party. 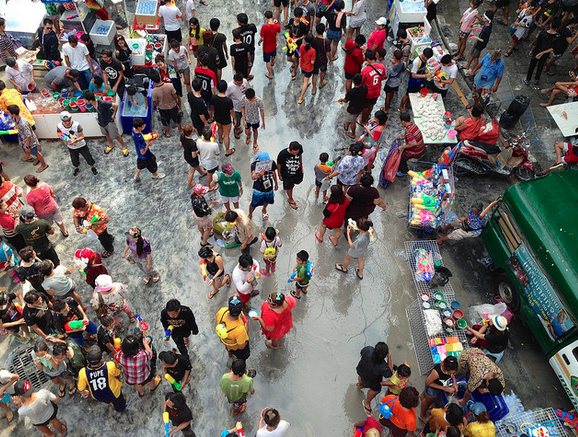 There is also a plentiful supply of free water at Central World to ensure everyone remains soaked for the duration!!! 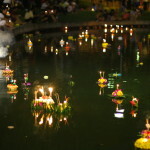 Loy Krathong Festival : Coming soon!